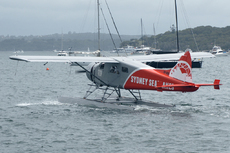 A float-equipped de Havilland Canada DHC-2 Beaver impacted the water off Cottage Point, Jerusalem Bay, Australia shortly after takeoff, killing all six on board. Among the fatalities was high profile British businessman Richard J. Cousins, then CEO of Compass Group plc, a British FTSE 100 company. The 58-year-old chief executive, died alongside his sons Will and Edward, aged 25 and 23, his fiancee Emma Bowden, 48, and her 11-year-old daughter Heather. The only other fatality was the pilot, Canadian Gareth Morgan.